Visit the church in the middle of the Kotor Bay and Old Town Kotor on this 3-hour tour. Explore the village of Perast and visit the manmade Our Lady of the Rocks Church in Kotor Bay. 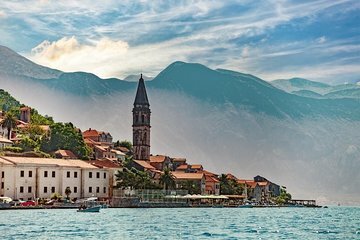 Then head to Old Town Kotor and see its medieval landmarks like St. Tryphon Cathedral, the Clock Tower, the Blessed Ozana Church, and more to learn about the history and culture of Montenegro.